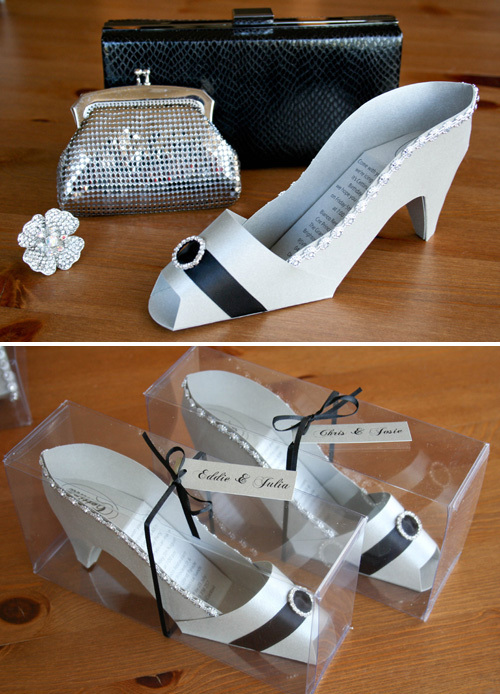 Set a glamourous tone for your next event with my exclusive 3D high heel shoe invitation. 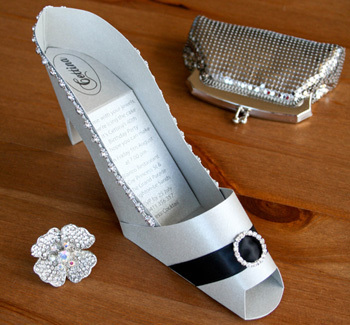 Featuring the event details on the sole of the shoe, your guest of honour's name as the 'brand' of the shoe. Double sided satin ribbon, a crystal buckle, and diamonte trim. We can also add your guests names on a tag with matching satin ribbon tied around the box. Colours and embellishments can be changed to suit your event. This would be perfect for bridal showers, hens nights or a special birthday.